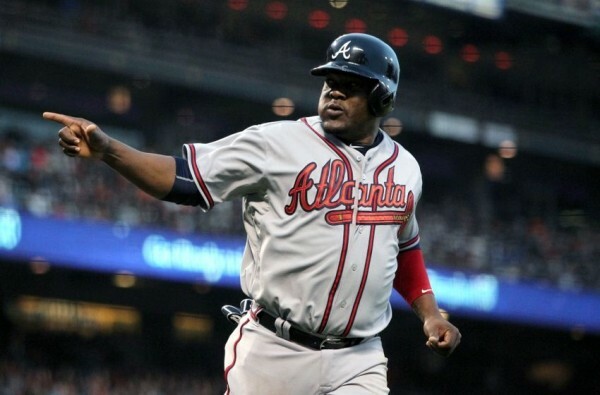 The New York Mets, believe it or not, are actually firm in the race for a postseason spot, looking to add some firepower to their lineup, looking closely at Juan Uribe, who is playing for a division rival, the Atlanta Braves. The Mets are trailing the Washington Nationals by three games in the NL East and are 2.5 games behind the second Wild Card spot. The Braves are four games behind them in the division, and because this time of year is all about differing teams, categorizing them into buyers and shoppers, the Braves are probably a bit out of the race. Uribe was acquired by the Braves this season from the Los Angeles Dodgers, playing rather well in his 46 appearances. He has hit 7 home runs and has 7 RBIs while hitting .285, with his hitting numbers (.353/.464/.817) are his career best or close to it, although it has been coming in a much smaller sample size. The 36-year old has been a part of two World Series victories (2005 White Sox, 2010 Giants). The Mets have already talked to the Braves about Uribe, who is a free agent at the of this season (making $6.5 million in 2015). Now it’s up to Atlanta to figure out whether they have a shot at making the playoffs, or is it time to start adding some younger talent and wait for next year.